Salefish, a cloud-based point-of-sale real estate software solution, has proven to be a hit with real estate developers, new home builders, salespeople and clients. The software is being used to provide up-to-date information about the building lots and home design options in new developments. The design firm RN in Vaughan, Ont., founded by Rob Nicolucci, is where Salefish software began. Canadian architects Nicolucci and Rick Haws created the concept in 2006. Their mission was to create an easier-to-use point-of-sale software system. From planning, building, buying or selling a home, the team wanted to make the process easier and provide more up-to-date information. 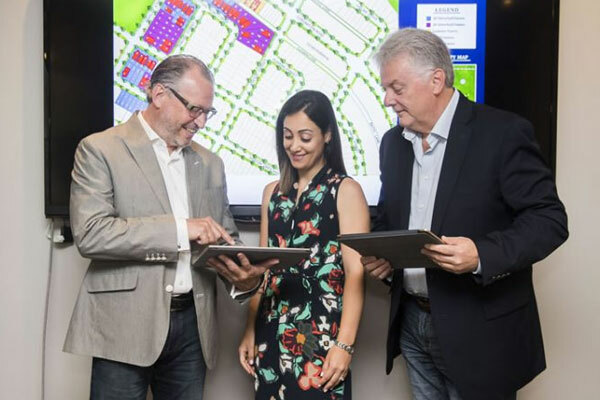 The software can also be used online by customers and sales reps prior to appointments with at the builder’s presentation centre. They can browse listings and receive accurate and timely information, gaining details and pricing of individual properties or housing communities after a first meeting or before a showing. It is especially useful for projects involving multiple types of dwelling units. The software can also confirm that home models and lots are in accordance with zoning bylaws and architectural requirements. Using their proprietary coding and technology allows Salefish to give buyers and builders live quotes and other information. For example, condo builders can show prospective owners which units are still available and the features of those units. Price changes, site details, plans and more are done “live” between the builder/designer or seller. It can also be used on iPads and LED touch-display devices – such as in showrooms or on-site in a model home. Salefish also offers an ActiveMatrix management console. This offers developers control over a project or portfolio of properties. Software tools help with the pricing of building calculations as well as individual units. Pricing adjustments can be made based on floor, unit, size, orientation and other criteria decided by the builder. Potential buyers can search condos by size, floorplan and other factors that may be of interest to them. Viewing a map with all available units highlighted, buyers can see exactly where in a building or complex they would be living in relation to other buildings, units and amenities. Clients pay for licensing, set-up and monthly fees to use the software.